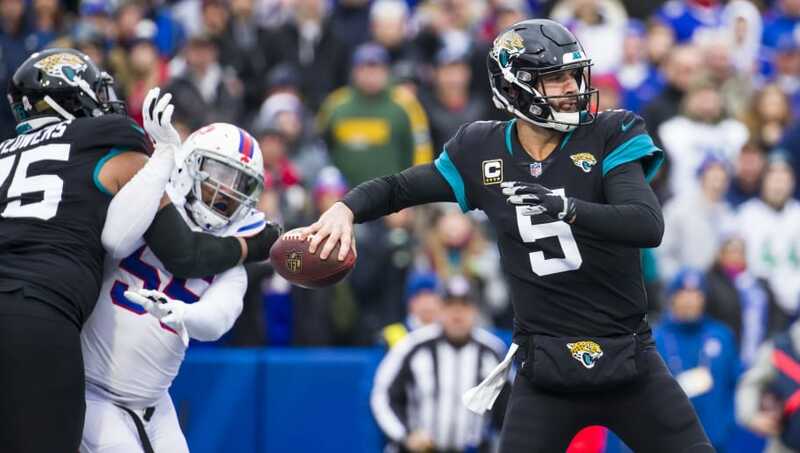 The Blake Bortles project in Jacksonville looks to be coming to an unsatisfying end, after Bortles failed to take the next step as a quarterback during his five seasons with the team. ​Bortles was benched in favor of Cody Kessler, who will stand in as the team's starting quarterback for the time being. The ​Jaguars inked Bortles to a three-year, $54 million contract that was intended to keep him with the team through the 2020 season, however, it may be in the cards to ​move on from the 26-year-old. Should they make that call, though, the dead cap hit would be record-breaking in the NFL. If the #Jaguars release Blake Bortles prior to June 1st they’ll take on a $16.5M dead cap hit for 2019, the largest single hit in history (though up to $6.5M of it can be offset should he sign elsewhere). Goodness me, his contract is egregious, especially when one considers his lack of progress in his five seasons. He is the 24th highest paid player in the NFL for 2018, making $17.48 million this season, yet he has ​done practically nothing to warrant his extremely high earnings. The Jaguars announced that QB Blake Bortles has been benched and will be replaced by Cody Kessler. Despite the team pledging their faith in Bortles prior to the 2018 season, the mirage has come tumbling down and the UCF product has proven what many believed all along; he's simply not good enough to lead a team to a Super Bowl.